Yes, last night it wouldn't let me log on, although when I looked at the homepage it said I was logged on. Strange ! Seems OK now though. I am sorry to hear you experienced difficulty with the forum over the past week. I was not aware of any such problem although, as Jeff has indicated, it was relucatant to log me in for a short period last evening. However, if I waited long enough (perhaps 30 seconds), it worked. Other than that, I have not had any difficulty and no reports have been received other than what has been said in the last few posts. Indications are that last night's problems were caused by a Proboards server glitch, perhaps in conjunction with a high volume of traffic on Server No 20. I regret I can offer no explanation for the difficulties you had (Paddy) over a longer period and can only hope that the problem is now resolved. 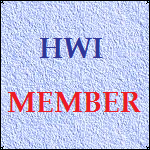 HWI comes up in seconds today and I've logged in a number of times. I didn't change anything on my PC, so I can't think what might have caused the blackout of HWI for me. Access to other websites was as normal except for HWI. It's an eerie feeling. Shows just how important HWI can become for us! You may be experiencing some trouble logging in. ProBoards are installing software patches to each of their servers. The down time should be about five minutes. Here is an odd one. For whatever reason, the software appears to be allowing me to post on some threads and not on others. Assuming you can read this, I ran a small "test" post here and it went through just fine, but an attempt to post on the Success in America thread results in a page not found. I have just conducted a similar test and it worked perfectly well. I hope it was nothing more than a temporary glitch. If it persists, let me know and I will check it with ProBoards Support. Thanks for the quick response. Do you guys ever sleep?? Whatever the issue was, after about an hour it seems to have resolved itself. My apologies to anyone who was not able to access this forum for a short period today. This was due to Server No 20 (and many others) being offline. ProBoards have not given a reason at the moment (I checked about 10 minutes ago) but all seems to be well now. I had a few problems posting between about 3:00 and 4:00 yesterday afternoon, but I managed it in the end. UK participation on the forum may be a little off today as there appears to be major server problems in the Reading area which have certainly been affecting this area very badly. My connection is intermittent but working at the moment! A large number of ProBoards servers are currently busy and a few are offline. Our server, #20, is not affected at the moment but, if you should find this forum is unavailable, please try again later. All servers are now online. You may experience a small downtime in the next few minutes as the servers are being reset. Within 30 minutes servers 1-59 will be restarted one by one to further address reported performance issues. No one server will be down for more than 10 minutes. Our server #20 was reset at 9:12 PM EST and brought back online about 15 minutes later. Some slight downtime might still happen on occasion overnight. You can check our server's (#20) status by clicking HERE .